Hollywood, Florida is a city with a population of over 140,000 as of 2010. It is located in Broward County, the sixth largest county in the United States. Sporting an average yearly high temperature of 83 degrees and sporting almost 6 miles of oceanfront, the city is a charming and diverse community with something for everyone. While most people who come to Hollywood, especially those with families appreciate how close Hollywood is to various amusement parks, there are tons of other things to do in the area. There are tons of nature preserves, a large art scene, and hundreds of restaurants and specialty stores. The city's Department of Parks, Recreation and Cultural Arts is one of only 90 such organizations out of 9,000 nationwide to be accredited by the Commission for Accreditation of Park & Recreation Agencies (CAPRA). Because of the diverse culture, age, and racial makeup of the city, Money Magazine recently said that Hollywood is the best representation of "what the United States will look like in the year 2022." The city's population continues to grow at a steady rate as it has been for the past twenty or thirty years. Because of this diversity, there are hundreds of different churches in every denomination. For this same reason the youth sports programs in the area are quite impressive. Many of the fields, such as the Hollywood West Sports Complex, have been recently updated and renovated. There are plentiful job opportunities in the area, with around 27% of the population working in the service industry, and 30% working as professionals. The unemployment rate in Hollywood is over a percentage point lower than in the state overall. The median price for a two-bedroom family home will run you about $240,000, which is still quite affordable. Broward County is known nationwide for having a great public school system, and Hollywood is no exception. The elementary and middle schools are especially high quality for those people who have younger kids. Many of their schools have won national awards for their test scores and excellent teachers. Travel is very convenient in and around Hollywood. The area is serviced by the 22nd busiest airport in the U.S. which is named the Fort Lauderdale-Hollywood International Airport. The public transportation system is also very efficient and is run by Broward County Transit. While one of the most beautiful features of the area is Hollywood's famous Boardwalk, the parks system is just as impressive. 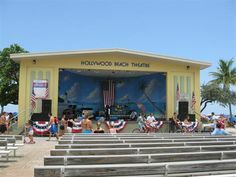 The parks and recreation department often teams up with the Hollywood Playhouse or the Arts and Culture Center to bring free concerts or plays to the Boardwalk or the Hollywood Beach Theater/Bandshell. No matter what day it is or what time of year it might be, there is always something free and entertaining to do in Hollywood. All of these events are free to residents and the public. 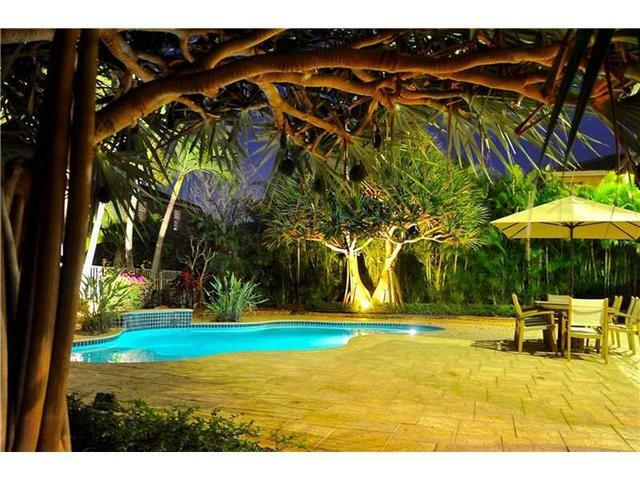 The quality of life in Hollywood, Florida just keeps getting better and better. Whether you are a senior, single, or a recently married couple with kids, you can't do any better than this great and diverse city with the laid back beach lifestyle.